The law of karma has the same principle as the law of the action and reaction in our material world. This means: If I hit the table with my hand, the table will hit my hand with the same power. The law of karma means, that some situations we experience today, are the result of the past events, which were set in motion by our behaviour or actions. If we did something, what had negative impact, then we speak about bad karma. If we did something good, we speak about good karma. Good karma is, for example, when someone is having very nice life without any need to make some special effort. 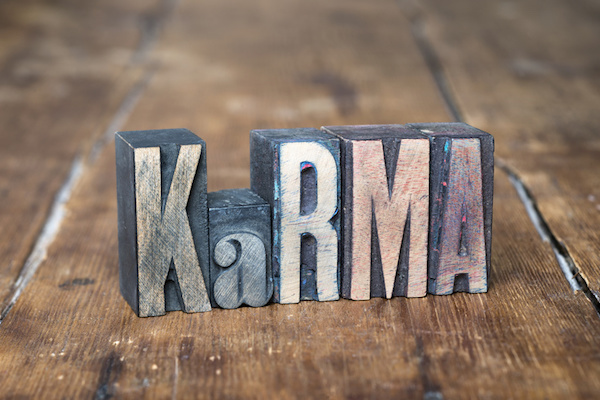 The word karma means in Sanskrit deed or action. Karma starts to work with our first deed as a human being, which possess an ego. Ego in our meaning is the perception of being separated (recognising oneself as a separated individual being) from the rest of the world. Karma is a consequence of human right to use a free will (which can be or doesn't have to be in resonance with the universal laws). We know that animals don't have any free will, they are let's say pre-programmed. That means, that cat will always react as a cat. Dog will always behave and react like a dog. It is impossible for dog to react in other way. So, human being in his development followed on the first place only his own needs and desires. Then the consequences of his actions started to show him, which choices brought good results and which choices brought negative results. If a human being was able to see it, he moved to the next step of his development. He wanted to have good results, because they didn't bring pain. He also realised, it wasn't easy to do so. He found out, that in some situations, his reactions were different from what he wanted, they were automatic (without any prior choice). This brings realisation, that the choice is not his, but the choice was made by his subconscious mind. With this realisation comes also the knowledge, that one can influence his own subconsciousness and modify it (for example with the help of meditation). This means, that human being is born with certain skills, personal traits and character, but they are not solid and can be changed or modified (through effort and training). For example: A person with fear of water can overcome this fear and can learn to swim. Or, someone with poor communication skills can improve these skills by proper focus and training. Or someone, whose anger was toxic, can learn to manage it is peaceful way and this change will also change his future, he will modify his karma! Everything is possible through effort, will and endurance! Karma begins, when a being is born as a human for the first time. The law of karma creates balance and justice. When someone steals something, he will be also robbed. In the same life, or, in the next life. If someone kills other human being, he will be also killed. Or, there is also an option to pay this negative deed back in a positive sense, to save someone's life. The most probably, the sinner will save life of the same soul, which he killed before. This is the way, how is karma created. It is the law of action and reaction. This law says, that whatever we do, it will come back to us. This situation, which we are facing, is our karma. For example, if someone experiences in her life something negative again and again, it means, she has a bad karma. This doesn't mean, that she needs to suffer whole life. The karma can be changed in any moment. How? Again, by positive deeds and goodness. Karma is like being in a circle. What we send, that we receive from the other side. For example: Someone was in his previous lives a thief. He robbed many people. In this life, he can establish a charity and help people in need. This way, he is creating something good and this good can prevail and cut the negative karma, in which he could be robbed or killed. So, there is always a way out. This way out is good and positive deeds towards others. The time for being in trouble depends on how much negative karma was accumulated in previous lives. If, for example, someone was a soldier and he killed 500 people, exact thing will be returned to him, or, he may have a possibility to pay it back in the next life by being a doctor and save 500 lives through his skill and commitment. This way, the karma will be balanced, at the zero point. Another examples: If someone helped a beggar, the fate will return it back to him and he may receive a help in need, too. Or, someone was born in a place, where was a flood and during a disaster, she saved 20 people. This means, these 20 people are from karmic point of view indebted to her. She may experience something positive from all of them in the same or in the next life. Or, someone is born as a merchant, and he is very nice to people around him, he gives them job, he learns them to read and write etc. This means, that all of this will be given to him later. If he is in need, there will be someone, who will help him, give him education or job. Or, he will born in his next life into a rich educated family, which will give him best education and abundance. Note: When someone is born into a rich family, it doesn't have to mean, that this is a good karma. It can be the opportunity to pay back the past bad deeds through generosity and helping others. So we can say, that negative deeds can be paid back in two ways: in a negative and in a positive way. Let's take an example of a man, who killed during his life one thousand people. Positive way - he can pay his bad deeds in a way, that he will born as a doctor or scientist and he will save 1000 lives through his work. Or, he could be very rich man and use his money for poor people and this way, to safe 1000 lives. Negative way - he can pay his bad deeds in a way, that he will be killed 1000-times. He could born in some country with a civil war and he will be killed as a child. If the amount of negative burden is too high, his soul can split into thousand of parts, incarnate into thousand of human beings, who will have bad and violent life and end, being killed or raped. This way, his karma will be balanced. If someone is a black magician, his karma is burdened in the worst way. The black magician will after his death serve the demon, who helped him during his incarnation, till the demonic entity will not die itself, or, will to achieve higher level of awareness and therefore release him from its services. Only then can this black magician incarnate again. This can last many thousands of years. The best revenge is to let go and move on…and allow karma to do the rest. 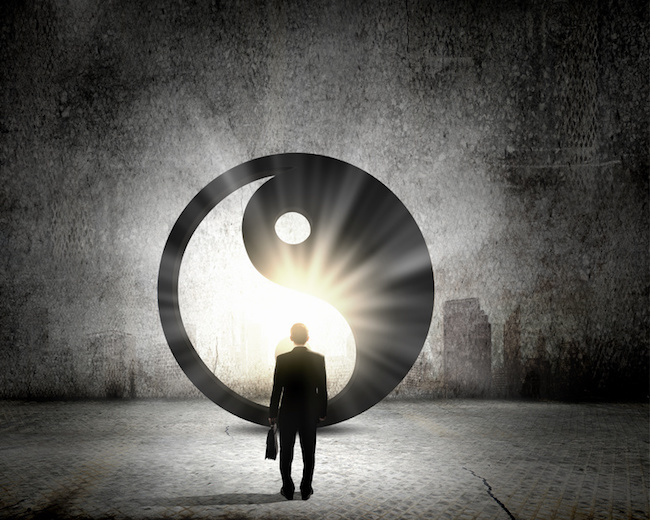 Besides the working of karma, there is another aspect, which influences our life. It is our way of thinking and feeling. This aspect gets into motion the Law of attraction. We can perceive every situation form positive or negative point of view. How we take it, influences what will come to our life next. We recommend to read more about it in the book Happier than God from Neale Donald Walsch. We recommend this book more than The Secret, because it explains in much deeper level the connections and causalities. But whether someone wants it or not, s/he HAS TO experience that, because it is neccessary to feel the consequences of our own creation. It is no way out. This is the divine justice and every deed has the consequences. 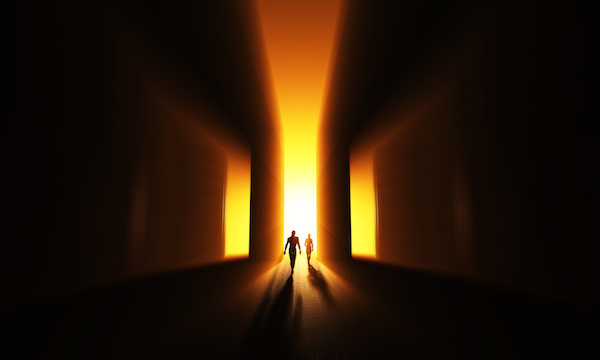 The pure choice of being born as– who, how, when and where you want, belongs to those souls, who achieved enlightenment. Only people, who are on 6th and 7th level according to the book Initiation from Elisabeth Haich (that means the degree of prophet and God-human) are completely free to choose, how, who, when and in which circumstances they will be born. It is because they are not burdened by any negative karma, there is nothing more they need to experience. In order to achieve this degree, a person needs lots of positive karma. This is the rule. If someone has in his/her life enough time, intelligence and opportunity to deal with spiritual teachings, train and educate him/herself, this is the sign of really good fortune and highest good. Because this didn't come out of nothing! It is most probably the result of very positive karma. What about souls of very negative people, like Adolf Hitler? These souls will be burdened with their negative karma till they will pay everything back. That means, Adolf Hitler has to safe life to so many people as he killed. If he will not do that or will say, he doesn't want to do that, he has to incarnate at once into many bodies and he will experience in all incarnations very miserable and violent lives. This way, he will pay it back in shorter time and he will experience cruelty and violence on his own skin. and s/he cannot be born from karmic reasons, current incarnation has to be his/her own decision out of compassion towards other human beings. If magician doesn't fulfil these two conditions, s/he cannot bear someone's else karma and destiny. Person, whose karma can be this way alleviated, doesn't have to fulfil any special conditions. This decision depends solely on magician and s/he is doing this only if it has some deeper reason and meaning. For example:, someone killed himself in previous seven incarnations due to his hot temper and inability to evaluate risk and therefore, this person didn't move in his development any further. Therefore, he has in current incarnation paralyzed his arms and legs, so that he cannot hurt himself again and can develop further. True magician will not heal this person, because health will lead him again to death. Magician in sixth or seventh level can see these things and judge them properly. S/he is able to see, when his/her intervention will speed up someone's development and when it will slow it down. This is also the basis for the relationship of a student and guru. Master tries to put positive karma of the student more forward and delay the negative karma, so that the student can speed up his/her spiritual development. For example: Karma of a student says, that when he will be 30, he will have bad car accident and he will stay paralized. Master can delay this event and it will happen when student will be 60. He can also put forward positive things, so that student can speed up his development, change himself in positive sense and then, if he is able to use this chance, negative situation will not happen at all, because it has no meaning anymore. The reason of being paralyzed in this life was for example, that he caused someone death or health problems. If this student will be able to create lots of positive karma through his life and actions, this accident will not happen or it will happen only with small consequences. He may have accident and stay in hospital for three months, but at the end, he will be ok and healthy again, no wheelchair. This is the basis of work in the master-student relationship. This can be done also in opposite way. If master sees that student is not doing what he was said and he creates something negative, master can make this negative event to happen earlier, so that student can come back into his senses. This Meditation will lead you to inner peace and place above time and space. Enjoy your life! This Song will help you to find joy, balance and inspiration for your day!